Less wasted time. Did you know that an employee searching for a paper document wastes anywhere from 1 to 10 minutes before finding it? Electronic files give you instant access. All the information you could ever want is right at your fingertips. With just the click of a mouse or tap of a key you can find what you need, from virtually anywhere on the planet. More space. Converting your “paper trail” to an electronic format will result in a cleaner desk, fewer distractions, and the ability to repurpose space that used to be dedicated to filing cabinets. Better customer service. Does a customer have a question on an invoice? If it is on paper, you’ll have to hunt for it. If it has been digitized, you can respond immediately. That’s an improvement in customer service, and it can be applied across all types of information and inquiries. Easy sharing. If you want to share a paper document with your team, you’ll have to print out copies, collate multiple pages, and tote them to your meeting. Electronic documents, on the other hand, can be instantly shared with the people you choose. Stronger security. Electronic files can be protected more easily and more securely from prying eyes. Cloud backup also provides an additional level of protection against fire, flood or a plague of locusts. Faster payment. If you are still accepting checks or cash from your fuel oil or propane clients, converting to an online, electronic payment system will help speed the funds into your business account. Green, green, green. Finally, it is a great idea to help the environment by reducing paper waste. You’ll feel better about it, your staff will be proud, and you can promote your environmentally friendly efforts with customers. The hard part? Figuring out how to shift from paper to digital. Luckily, advances in imaging technology make it easier than ever to capture, scan, convert, link and store paper documents. Your historical records can be digitized as you move toward paperless communications for new documents, creating a seamless and connected account of your company’s records. 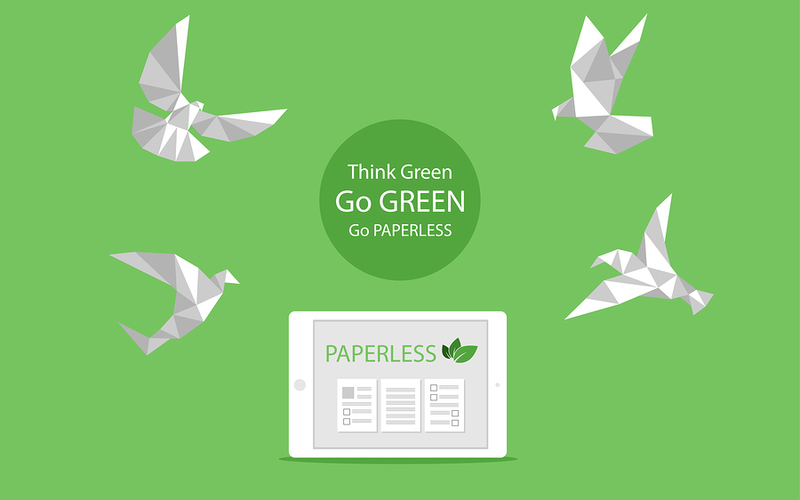 Ready to go paperless? We can help you reduce your dependence on printed files and become a more efficient operation. Call us at (888) 499-2583 or click here.